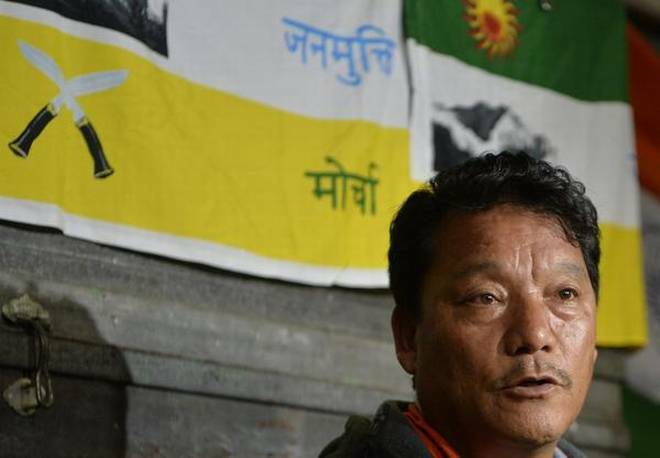 The Supreme Court today heard the plea filed by West Bengal government urging apex court to set aside its November 20 order, restraining it from taking any coercive step against former Gorkha Janmukti Morcha (GJM) president Bimal Gurung. Earlier in the week, Gurung through his counsels claimed before apex court that the Mamata Banjerjee-led government was trying to break his party to finish the movement for separate statehood. Continuing with the line of argument, Gurung’s counsel Senior advocate P S Patwalia alleged before a bench of Justices A K Sikri and Ashok Bhushan that West Bengal Chief Minister Mamata Banerjee was opposed to him “tooth and nail” and has sought a CBI probe in the killings of several Gorkhaland activists during the recent agitation for a separate state. Appearing for Gurung, Senior Advocate Patwalia highlighted number of issues, based on which he sought the apex court to dismiss the plea filed by the West Bengal government. He further highlighted the execution of Dawa Bhutia on 1st of September, 2017 in Namchi, Sikkim and questioned the legality behind such encounter of an innocent individual. – the custodial death of Barun Bhujel in Jalpaiguri. 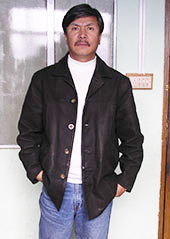 Highlighting the fact that Barun Bhujel was an elected Municipal Councillor of Kalimpong Municipality, he stated that Barun Bhujel’s postmortem was done without any prior information given to the family members, and in the absence of any appropriate authority. He also brought in focus the memorandum submitted by the wife of Late. Barun Bhujel calling for a high level inquiry into this matter, to the Home Minister of India, the copies of the same were sent to the Chief Minister of West Bengal, and the National Human Rights Commission. He also highlighted how a 65 year old female Dhanmaya Tamang was arrested in the absence of a female cop, even when her hands were fractured. “Earlier there were only 80 FIRs, now there are 180 FIRs against those who have already been arrested… More than 100 Gorkhaland supporters are in jail since more than 3 months (i.e. 90 days), which means they eligible for bail, however they are denied bail on the grounds that they are adding more sections and just multiplying those sections FIRs,” said Mr. Patwalia. He also highlighted how Mr. DK Pradhan and Mr. Tilak Roka and numerous other Gorkhaland supporters were falsely implicated. This he alleged was done to end the agitation, which began in 1900s. Since the judges had to go for an important hearing to the Constitution bench, the matter was adjourned to Friday, when Dr. Singhvi will continue with the arguments on behalf of the Bengal government. We are most THANKFUL to Ms. Reena Rai – a Supreme Court lawyer for filling us on the details of the proceedings today. 3 Comments on "EXCLUSIVE: Supreme Court Hears Bimal Side of the Story Today"
, “We want Gorkhaland” loud and clear but, very sadly, the Administration here wants to continue with the GTA and the new Development Board, both directly responsible to Ms Mamata Banerjee. The Gorkhaland is a taboo subject here and any known supporters of Gorkhaland are rounded up, arrested, beaten up and thrown in the prison for further atrocities. This is exactly what the Japanese soldiers did to their captives during the Great War. The Bengal Government with its informant in the guise of GTA, have crossed all limits of atrocities. Kim Jong’s people are much freerer and happier than we are in Bengal. If the Central Government continues to remain deaf to our screams of help, we will soon be left with no alternative but to unseath our sharp kukris. The Bengal Government, with the help of our traitors, wants the Gorkhas to be branded as the terrorists.